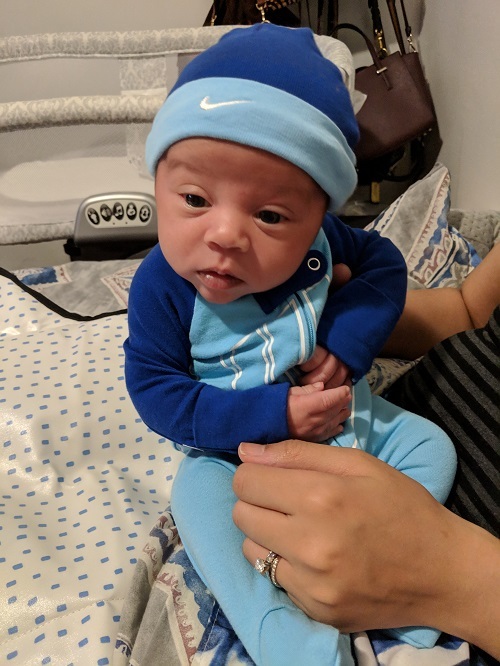 Sharing the exciting news that my first born son Mavrick arrived last month, but I also need help! I obviously will be raising him as a St. John's fan, but can barely find any St. John's baby clothes to dress him in! I was on the campus last month and they only had 1 or 2 options in the bookstore. We already have 3 UConn onesies (my wife and I met at UConn), so I need to even things out. Anywhere know where I can find some?? 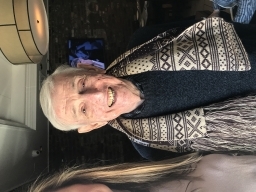 The following user(s) said Thank You: Paul Massell, Marillac, Happy, redmannorth, Monte, SJU85, MarkRedman, gonzalo, Eric, JohnnyFan and 2 other people also said thanks. Very cute baby. Just guessing but doubt there is anything out there based on the comparative limited options overall for our brand. Maybe new AD will improve things in this area. Room112 wrote: Sharing the exciting news that my first born son Mavrick arrived last month, but I also need help! I obviously will be raising him as a St. John's fan, but can barely find any St. John's baby clothes to dress him in! I was on the campus last month and they only had 1 or 2 options in the bookstore. We already have 3 UConn onesies (my wife and I met at UConn), so I need to even things out. Anywhere know where I can find some?? Congrats 112. He’s a beautiful baby! 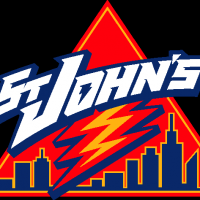 Are you sure you want to subject him to being a Johnnies fan? 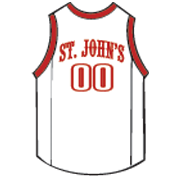 We got our grandson his St. John’s gear through the store online. There were lots of options. You should find something. Or just Google “St. John’s onesie.” Good luck! And congrats again. Congrats Mr. & Mrs. 112! : what a cute baby!!! Congrats and good luck raising him a redmen fan lol. Let him post a few times. We can use a brand new perspective.